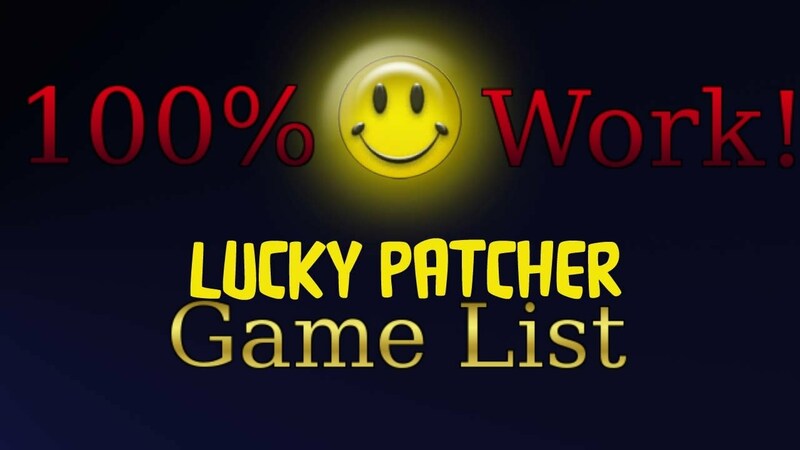 Home android games list Lucky Patcher what android games can you hack with lucky patcher? what android games can you hack with lucky patcher? Lucky Patcher is an amazing Android application which lets you remove ads, break different apps’Android Market License Confirmation or other Confirmations for the applications. The App has been developed by Developer Chelpus. Lucky Patcher application plays a major role for rooted android device. Here is the list of the games for custom patch is available in latest version of lucky patcher. yes you need latest version, If you have older versions, some of these may not be available. So please install latest version of lucky patcher. You need to note too, Lucky Patcher works only on rooted devices. If your device is not rooted, please root it first with kingroot. We recommend kingroot because it doesn’t require PC to root and also kingroot support maximum number of devices. -Apply custom patch to get Unlimited fuel. It’s only on ARM v7 android devices. - It Will Remain Active.. Till The End Of Level. - unlimited Lollipop, Free Switches, Boosters, Moonstruck, Bomb’s Timer. - Owl Never Falls Down. - After applying custom patch, the minimum screen resolution size to run the app will be 239×239 pixels. - Get 200k of credits for free. - Apply custom patch to buy(hack) everything for free. But, water will be invisible. - Same as where’s my water?, but micky will be on loose. - unlimited Boosters (It will show you 0 but you can use them). - unlimited Energy, Ammo (you need to have at least ONE). - Chain Cards Easy Mode (one move unlocks chain). - Jungle Cards Easy Mode (Once you unlock a Jungle Card never comes back in a locked one). - unlimited Combo (Combo Streak doesn’t reset). - No more score reset on Burst Fail. - (instead of 10) 100 more bonus Balls at the end of the level. - (you need to have at least ONE) unlimited Wishes. - (instead of 7) 30 extra Balls at the start of the level. - No more removing spiders on Burst Fail. - unlimited Energy, Mana Spell. - unlimited Lives, Boosters (you need to have at least ONE). - unlimited Boosters , Lives. - Instant unlocking of next episode (no waiting time or asking friends for unlock). - 25 extra cards instead of 5 (booster need to be activated). - Universal path for ARM and x86, v1.3 devices. - Set booster time for bigger value. - get Lots of coins. Therefore, the application or game you want is not in the list? Don't worry, lucky patcher is a best Android app for hacking, it gets more frequent updates. Probably, in next update, they can add your App or favorite game. Just be in touch. In addition, you can create your own patch you but its difficult if you do not have enough knowledge. But keep in mind, even if you have enough knowledge, it is difficult. Otherwise, many other app would have got custom patches.